Price drop: ANTILOPE is a one-off built racer/cruiser and constructed in Epoxy/cedar with carbon stringers. Carbon mast with rod rigging and PBO backstay. Full set of carbon sails by UK/McWilliam. Raymarine instruments including chartplotter. 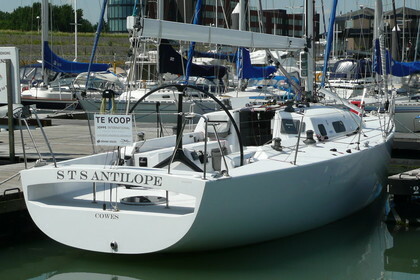 Antilope is built in 2006 and launched 2007. For sale as owner is buying larger sailing yacht. Full inventory list and pictures available. Owner is open for offers.